I really love this talk by Steve Jobs. I read it often. It makes me think. It makes me feel. It makes me feel pleased I follow my heart, no matter where it leads. Many of my choices seem to make no sense to those around me, but that's OK. 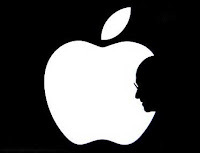 Thank you Steve Jobs, may you rest in peace.